ONLY AT SAKS. 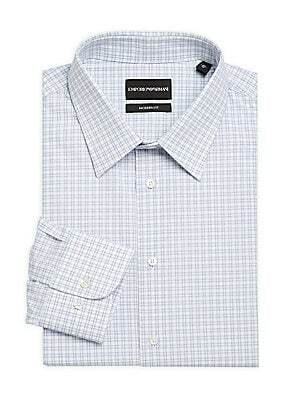 Fine checks create a sophisticated look for this shirt Spread collar Button front Long sleeves Buttoned barrel cuffs Regular-fit Cotton Dry clean Imported. Mens Pvt Brands - Sfamc Dress Shirts. Saks Fifth Avenue. Color: Mist. Size: 15. ONLY AT SAKS. Fine checks create a sophisticated look for this shirt Spread collar Button front Long sleeves Buttoned barrel cuffs Regular-fit Cotton Dry clean Imported. Mens Pvt Brands - Sfamc Dress Shirts. Saks Fifth Avenue. Color: Mist. Size: 14.5. Textured cotton shirt in a tailored slim fit Spread collar Long sleeves Buttoned barrel cuffs About 30" from shoulder to hem Cotton Dry clean Imported. 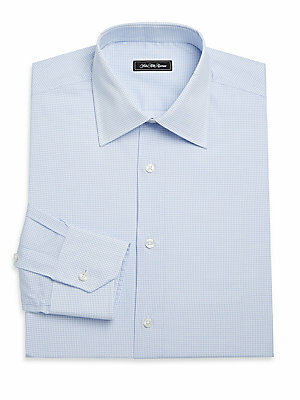 Men Luxury Coll - Zegna Dress Shirts. Ermenegildo Zegna. Color: White Stripe. 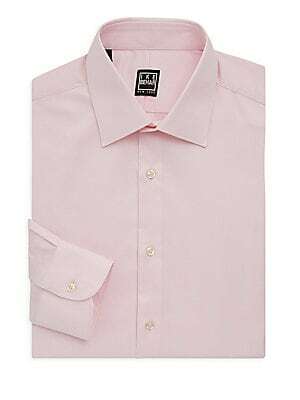 Size: 42 (16.5) R.
Textured cotton shirt in a tailored slim fit Spread collar Long sleeves Buttoned barrel cuffs About 30" from shoulder to hem Cotton Dry clean Imported. 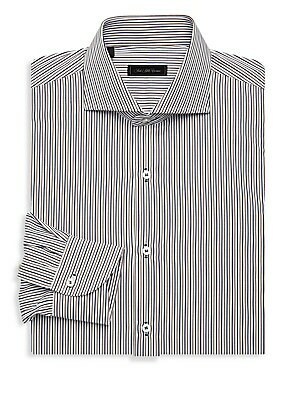 Men Luxury Coll - Zegna Dress Shirts. Ermenegildo Zegna. Color: White Stripe. Size: 41 (16) R.
Textured cotton shirt in a tailored slim fit Spread collar Long sleeves Buttoned barrel cuffs About 30" from shoulder to hem Cotton Dry clean Imported. 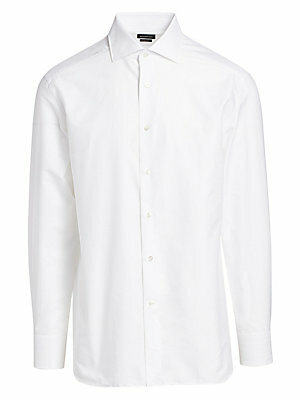 Men Luxury Coll - Zegna Dress Shirts. Ermenegildo Zegna. Color: White Stripe. Size: 44 (17.5) R.